The best things in life are often hard to describe. But because it is mankind’s natural instinct to understand the world, there is an attempt to box things into categories. Even the most complex feelings and emotions are neatly organized with made-up labels that over simplify the most beautiful complexities of existence. Music is no different. Genre titles such as “Pop”, “Folk” and “Alternative” are meant to give a listener an idea of what to expect and how to group music together. 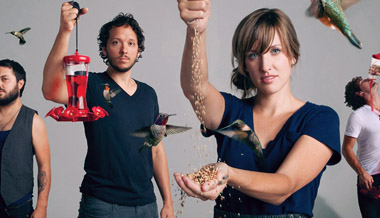 But, for the musical collective, Gungor it is not that simple. It’s not so much an attempt to directly defy the rules of modern music making as much as it’s simply the honest musical response of the Denver based group that sees the world as a beautifully complicated place. Multiple Grammy ® nominations, magazine covers and even a few “Album of the Year” declarations for 2010’s Beautiful Things, proves that listeners are longing for excellent and authentic music, whether it fits the norm or not. 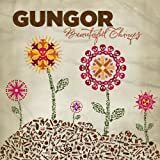 For their third major release, Gungor has composed a concept album that celebrates the beauty of life even in the midst of darkness and pain. Starting with a startling musical imagining of the creation of the universe and traversing subjects like the “fall of man” and the imperfection of our religious systems, this album leads the listener through a roller coaster of emotion that eventually leads us back to wonder and thankfulness to this beautiful gift of life. This is a group that believes listeners are intelligent enough to appreciate lyrical metaphor and allegory along with intricate time signatures and somewhat uncommonly paired instruments in pop or rock music. Ghosts Upon the Earth paints a hauntingly beautiful soundscape that emotionally conveys both the intricacy and wonder of the universe that we live in as well as the tension and dissonance that we all experience. From sweeping string lines and soaring, falsetto vocal melodies to distorted flute riffs and five part dissonant harmonies, this album explores quite a wide emotional and musical gamut. And according to Michael Gungor, the namesake, producer, and leader of the collective, it’s all very purposeful and full of subtle meaning. From fast violin arpeggios that represent vibrating “strings” in a primordial universe, to the sacred sound of the first heartbeats that Michael and his wife Lisa ever heard of their baby girl reminding us of the fragility and preciousness of life, nothing is haphazard about this album. Also featured more prominently on this record than the last one is Michael’s wife, Lisa, a gifted musician and songwriter in her own right. Most of the songs on the album are written by Michael and Lisa together, and there are several songs that feature her as the primary vocalist. Her voice is used as an instrument in itself, in an album that includes credits for things like a six-person string section, horns, glockenspiels, banjos, and a boys choir. Repent. Turn around. Don't choose to die. Choose life. Music by Gungor. God, breathe life back into our lungs so we can praise your name. 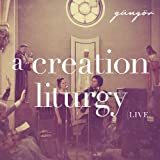 Music by Gungor. God is not a white man. The church is not a factory. God is love. Music by Gungor. 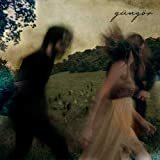 www.gungormusic.com.